Guardian Singapore was established in 1972 as a pharmacy in Singapore. In 1981, Guardian Health & Beauty made their first foray into beauty when they opened a store at Jelita Shopping Centre in Singapore that sold beauty products. Since then, Guardian Health & Beauty has steadily branched out to offer a comprehensive and affordable range of health and beauty products and services. 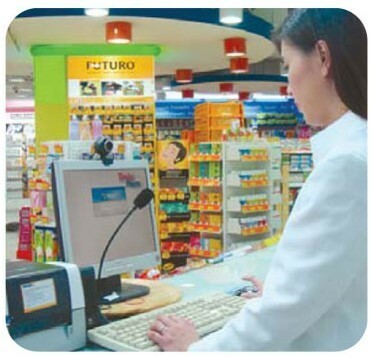 Thru the use of VMEET high-definition point-to-point video interactions, Guardian Pharmacy launches a tech-savvy and innovative video service, targeted to assist and advise for over-the-counter medication and common ailments. This not only makes finding medication a fast and easy process, it also educates and allows customers to find out more about medical issues, safely, confidentially and in a non-intrusive manner. Copyright © 2019 Softfoundry International Pte. Ltd. All Rights Reserved. Thank you for your interest. Please fill in the information below and we will contact you asap.